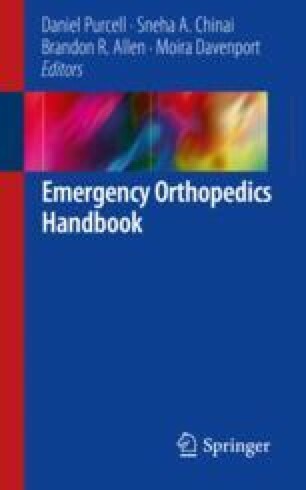 Bony and soft tissue injuries that necessitate emergency department evaluation/intervention can be extremely painful and be associated with much patient apprehension. Various anesthetic procedures can be implemented to diminish patient discomfort, potentially leading to heightened overall outcomes. Performance requires a thorough understanding of the relevant procedural anatomy, pertinent technical skills, and the avoidance of possible barriers/pitfalls that can taper results. The following chapter will communicate a fundamental physiologic background of regional/local anesthesia, indications for utilization, a stepwise guide toward implementing a multitude of various anatomic anesthetic blocks, as well as key obstacles to elude during planning/execution. Advanced technique(s) regarding nociception for more significant injuries and/or desire for augmented pain relief are also categorically addressed. Gmyrek R. (2018). Local and Regional Anesthesia: Overview, Indications, Contraindications. [online] Emedicine.medscape.com. Available at: https://emedicine.medscape.com/article/1831870-overview [Accessed 6 Oct. 2017]. The New York School of Regional anesthesia. Wrist Block. Available at http://www.nysora.com. Volfson D. (2018). Digital Nerve Block: Background, Indications, Contraindications. [online] Emedicine.medscape.com. Available at: https://emedicine.medscape.com/article/80887-overview [Accessed 6 Oct. 2017].